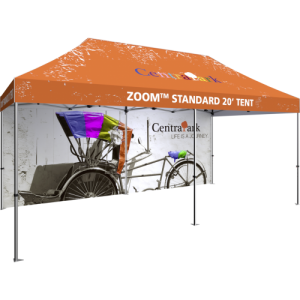 The dynamic Zoom Flex Large Flag provides the ultimate advertising display solution for your business. 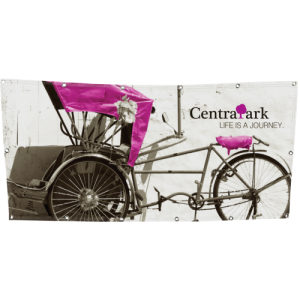 The flag features a durable fiber pole and wind-resistant flag, usable in outdoor environments but also an excellent option for indoor display needs. 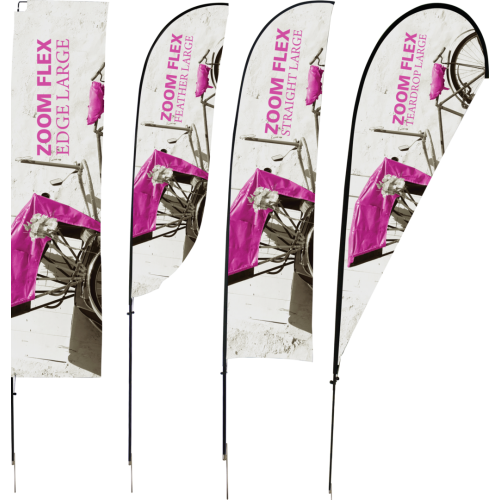 Zoom Flex has single and double sided display options, and come in four shapes – Feather, Straight, Teardrop and Edge. 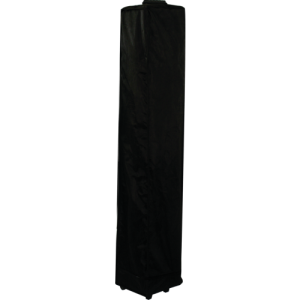 Heights vary based on flag shape, and can extend up to 178.38″ in height (14.8ft). Ground stake and storage bag are included. Product not designed to withstand adverse weather or high wind. Weather damage is not covered by product warranty.